Recon waste management, owned by local businessman Daniel Connolly, are a recycling company based in Portadown, County Armagh and specialise in recycling street sweeping waste and other non hazard sludges from local authorities and other government bodies. They also look after waste transfer. Products that Recon produce from their road sweeping and gully waste treatment plant include Sand, Pea Gravel, Drainage Stone, Water, Mixed Dry Recyclables. The company have over twenty pieces of equipment on site such as screeners and optical sorters as well as lorries, diggers, telehandlers, dumpers and a forklift – all of which are now inspected via the CoreChex paperless inspection system. 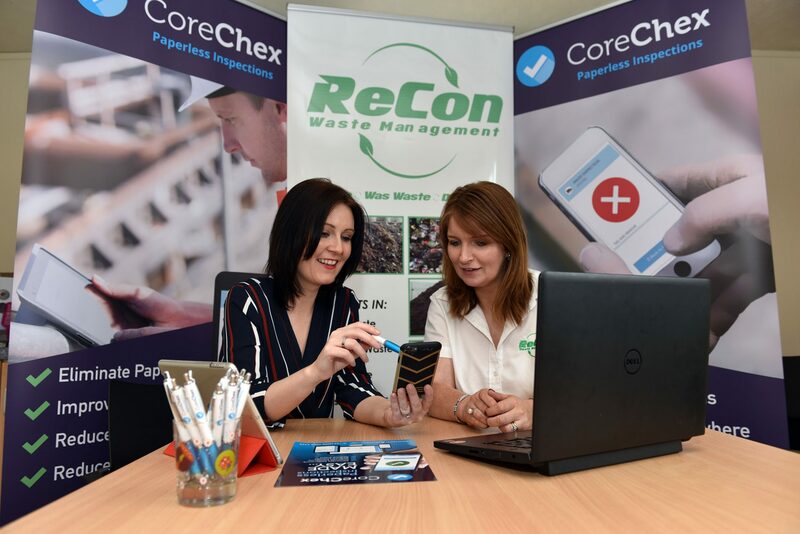 The company currently employs 15 members of staff, 11 of whom are using the CoreChex paperless inspection app. 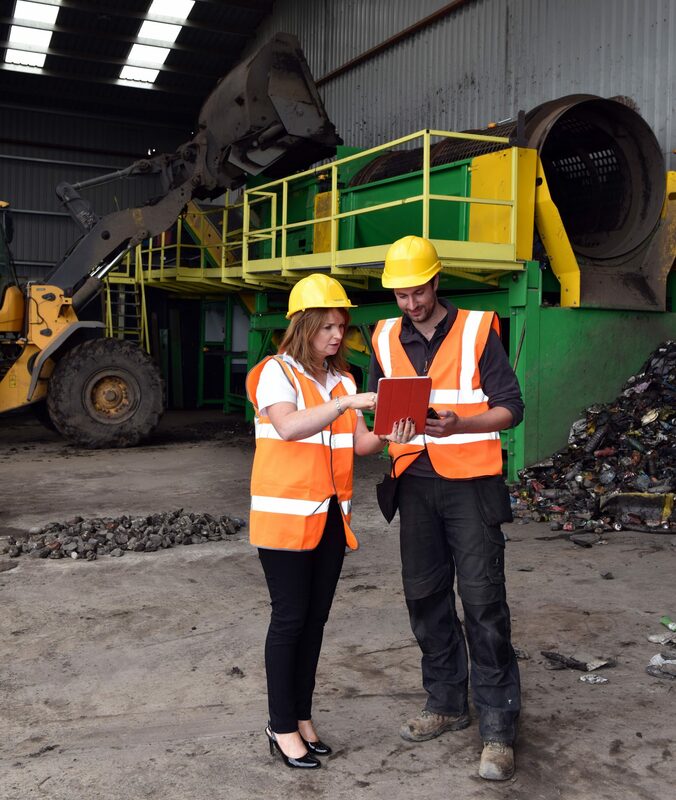 Darragh McConville, Business Development Manager for Recon waste management recognised that improving inspection rates and visibility of company safety was the key aim in introducing a digital solution to paper checks. “We had numerous note pads that ended up getting lost, they were left in vehicles, they weren’t left back into the ofﬁce and it often it wasn’t until the end of the week, when the paperwork was being left in, whether we knew if the checks were completed properly and what was being reported’. From their initial demo Recon Waste Management were up and running with the app in a manner of weeks. Training was provided on site and the company have found the process of adding new forms and editing existing templates to be quick and easy. Ongoing support is provided as part of the installation package which Recon are availing of as they find new uses for the app’s deployment on site. Recon Waste Management use the system mainly as a paperless inspection app in order to carry out a lot of their daily statutory inspections. Mainly on pre-start vehicle checks. Darragh explains “Each morning the guys will come in and it’s a great reminder for them. They have the app on their phone, before they start the machines, they have a list of criteria that they have to go through and check off, before the machine can be started. On top if the vehicle reports, we also use the app for carrying out housekeeping reports & site safety observations. So, if we are training someone on a new machine it’s great for the trainer to be able to log their information and the progress of each employee. We also use the app for ﬁlling in near misses on site and any other training or health and safety that need to be documented. The app saves us a lot of money on maintenance because we know straight away what the problem is rather than letting the particular problem on the machine develop in to something worse than it could have been.